When the power window regulator motor assembly (for rear LH side) is reinstalled or replaced, the power window control system must be initialized. Close the power window by fully pulling up the power window regulator switch assembly (for rear LH side) and holding it at the auto up position. 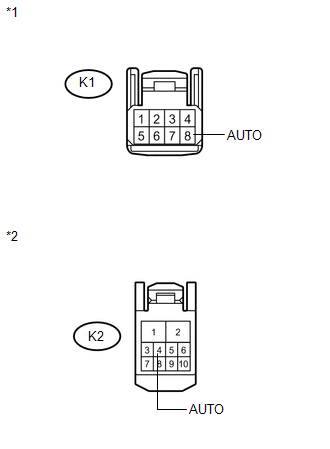 Open the power window by fully pushing down the power window regulator switch assembly (for rear LH side). When the ECU determines that the power window regulator motor assembly (for rear LH side) has a malfunction, DTC B2311 is set. (d) Enter the following menus: Body Electrical / RL-Door Motor / Data List. (a) Initialize the power window regulator motor assembly (for rear LH side) (See page ). 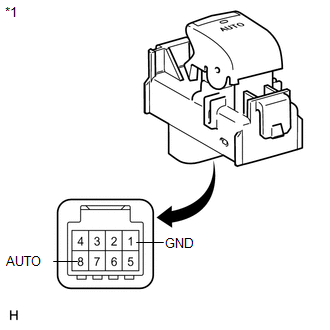 (a) Check that the rear LH side door power window moves when the auto up/down function of the power window regulator switch assembly (for rear LH side) is operated (See page ). Rear LH side auto up/down function is normal.